Tuesday January 15th… Dear Diary. The main purpose of this ongoing post will be to track United States extreme or record temperatures related to climate change. Any reports I see of ETs will be listed below the main topic of the day. I’ll refer to extreme or record temperatures as ETs (not extraterrestrials)😊. In the “the longest-ever assessment” of Antarctica‘s ice mass, scientists are reporting a rapid increase in melting — a six-fold increase in yearly Antarctic ice mass loss between 1979 and 2017. The study, published Monday in the Proceedings of the National Academy of Sciences, was a collaborative effort by glaciologists from the University of California, Irvine, NASA’s Jet Propulsion Laboratory and the Netherlands’ Utrecht University. “We are on a path for rapid sea level rise in the coming one century or so” says lead author Eric Rignot. The data was derived from high-resolution aerial photographs taken by NASA’s Operation IceBridge, satellite radar interferometry from multiple space agencies and the ongoing Landsat satellite imagery series. Rignot warned, “Depending on how old you are and how fast we keep warming up the planet you may see the vector of catastrophically rapid sea level rise (4 meters per century scale).” A rise of 4 meters (about 12 feet) would be enough to put many coastal towns and cities underwater and submerge much of South Florida. For now, the ice melt and corresponding sea-level rise remains at a manageable level. In the past 40 years, Antarctica’s contribution to global sea level rise has only been a half an inch. But that pace is increasing as the climate warms faster. “This region is probably more sensitive to climate change than has traditionally been assumed, and that’s important to know, because it holds even more ice than West Antarctica and the Antarctic Peninsula together,” said Rignot. 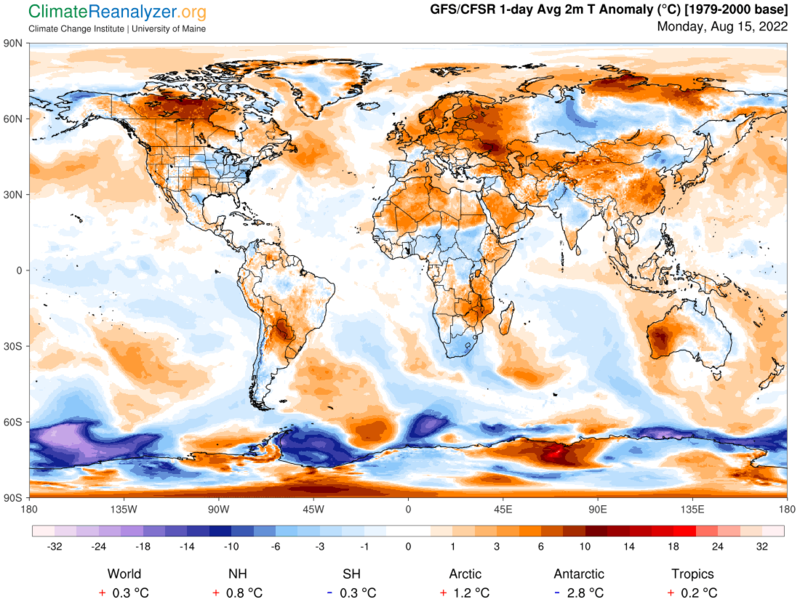 So, while most meteorologists are anticipating a change in the weather pattern leading to “true winter” across most of North America the next several days, it pays to remind all that this summer in the Southern Hemisphere is undergoing climate change signs, albeit at a slower pace than just one season across Antarctica. Despite shivering across Europe, the United States and Canada, heed these warnings.